Let us help you discover the world of chocolate! Opened since 2001, Shenandoah Fine Chocolates is a unique treasure in the Shenandoah Community. Featuring handmade caramels, turtles, barks, and other chocolate themed pieces, there is no other place like it in the valley. We take great pride in sourcing the very best chocolate to create our vast array of sweet treats. We make about 70% of all the chocolate treats in our store, and what we don’t make ourselves, we have sourced from only the best in the business. Our truffles are just fabulous! Sourced from the Birnn family in Vermont, there is no better example of a true truffle experience. A special moment occurs when you bite into a truffle and that rich flavored dark chocolate ganache sends your mouth to heaven, while the lingering aftermath is simply delicious. It’s something everyone should experience. In June of 2018, we consolidated the Chocolate Cafe and Shenandoah Fine Chocolates under one roof. We expanded our coffee line and it’s bigger and better than ever. 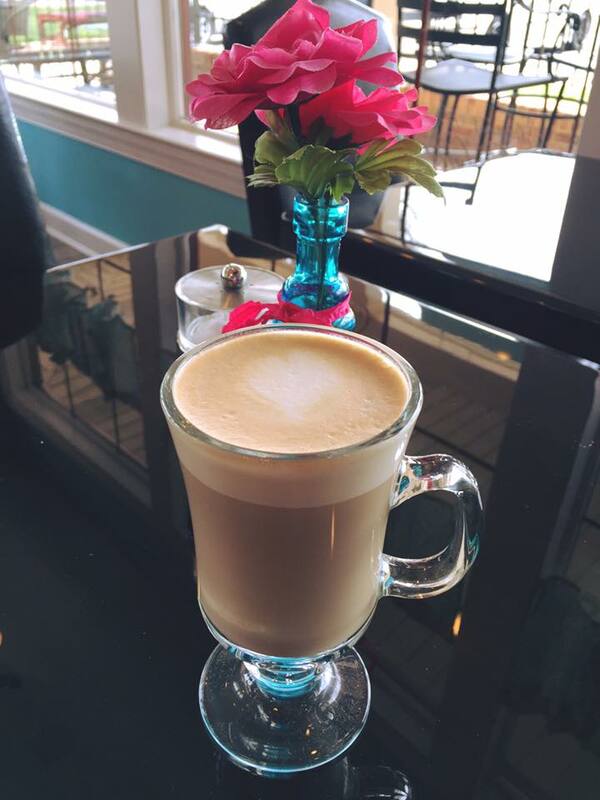 With fresh roasted espresso beans, and an endless array of syrups and mix-ins, we can take almost any chocolate or truffle flavor and make it into a latte for you. Oh… and YES, we still make our signature Chocolate Cake! In 2018, we began introducing small gifts to accompany chocolates. Bearington Bears, Silver Mountain Crafts with their beautiful arrangements & wreaths, The Peanut Shop selection of Virginia peanuts and handmade Jute Trivets, coasters and more are being introduced in early 2019. Whether you are looking for your favorite buttercream chocolates, or truffles, or just need a delicious coffee pick me up, be sure to stop by and enjoy the sights and smells of Shenandoah Fine Chocolates. Every business should give back to the community in a way that promotes a better world. Here at The Chocolate Café, we have chosen something a bit unconventional. We have melded together our love of fresh, quality food with chocolate, and our love of animals. Our walls are covered in pictures of those animals that have touched our hearts. These are rescue animals. Without help from a caring volunteer, a no-kill shelter or an animal rescue group, the beautiful fur babies you see would simply not be here. These are success stories, and many of them are members of our Chocolate Café family. Our community mission here at The Chocolate Cafe is to help raise awareness for animal rescue groups and the tremendous work these volunteers do to find loving homes for pets that have been discarded. We will sponsor and showcase animals on our rescue wall that need loving homes, host adoption days for non-profit rescue groups, sponsor fundraisers for needy cases, promote spay/neuter programs, and give back by donating money from our profits to those groups that are making positive change happen in Winchester & surrounding areas. While we would love to invite your fur baby inside, the Virginia Department of Health dictates otherwise. However, our patio is always open to you and your four legged friend. We truly hope you enjoy every visit to The Chocolate Cafe. Thank you for supporting our dream of Chocolate and Paws. Located at Creekside Station in Creekside Towne Center. Please Follow and Share us!